When I said I loved Tip-Top Tokyo, I truly meant it. This amazing city emphasizes on your comfort and convenience and this cool eyeglasses cleaning machine makes a great example! Located right outside most optical stores, anyone with glasses can use this machine. The service is provided FREE and you can use it whenever you feel your glasses need a quickie wash! I think it's really cool and more importantly, extremely convenient. Thanks to the clearly-defined picture instructions, we followed exactly what we're supposed to do. Place your eyeglasses inside the container filled with water for about 60 seconds. The machine will then run and do its job of cleaning your lenses. Once the machine stops, remove your glasses and use the provided tissue to wipe your glasses clean. Easy and handy! I asked B if the cleaning made a difference in his glasses and he said yes! Your lenses might not be squeaky clean or super clear but the cleaning does help to keep them sufficiently spotless until the next proper cleaning session at your optical store. 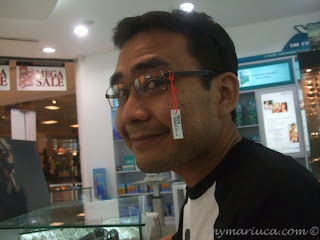 Speaking of B, he finally got his High-indexed Prescription Eyeglasses On Sale last week. I think he looks younger with this new pair; reminds me of the time when we first met! how much it cost to wash a time? sister in law asking if thats a game haha..
hubby cousin went tokyo and its paid by their company how nice. 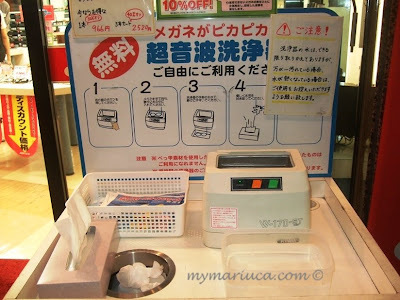 wah.. this machine is so useful eh.. i dont think we would ever see one in Malaysia.. for sure kena curi.. lol..
TH! FC3! And pestaim chop here this month yay! Rizal 5 points edi, syabas! Recent blog post: Finally, New Glasses! Recent blog post: Busy but Lazy! 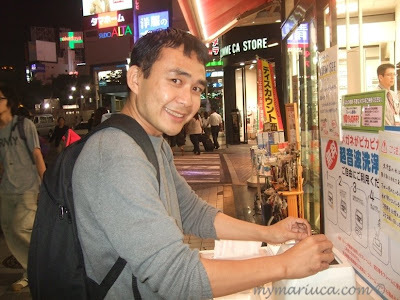 Recent blog post: Hotel Super Sale! ahaha.. geluk guling tepung tangan hula hup chicken dance whoosh2x! aduihhh penat tuu.. tapi at least terbakar laa beberapa kalorie.. I noticed some of my comments weren´t displayed, now I know why, just read your latest post in your other blog. The cleaning glasses machine is sooo cool! Never saw one before and I was very surprised. 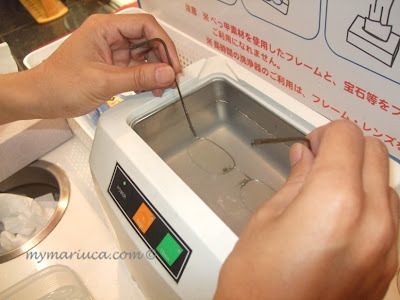 Here, most eyeglasses shops sell a liquid to clean glasses, if they had this type of machines they wouldn´t sell any liquid, lol. Tokyo must be a really great city. Good week ahead! Hugs, Mizé. Berkobar-kobar BD nampaknye Rizal, syabas!